Ellen Peters is Professor of Psychology at The Ohio State University and Director of OSU’s Behavioral Decision Making Initiative. She conducts basic and applied research in judgment and decision making. In her research, Dr. Peters focuses on understanding the basic building blocks of human judgment and decision making and especially how affective, intuitive, and deliberative processes help people to make decisions in an increasingly complex world. She studies decision making as an interaction of characteristics of the decision situation and characteristics of the individual and is particularly interested in issues of number processing, affect and emotion, and adult aging in judgment and decision making. Jason Coronel is an associate professor in the School of Comminication. His research examines how the media environment, in combination with psychological processes, influences political decision making. Dr. Coronel's approach is interdisciplinary in nature, bringing together concepts and data from behavioral, psychological, and neurobiological levels of analysis. He use a combination of techniques including event-related potentials, eye movement monitoring, and tDCS to examine the psychological processes that underlie political decision making. 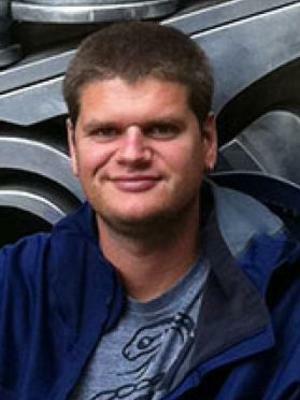 Paul J. Healy (PhD, Caltech, 2005) is an associate professor in the Department of Economics. His research combines economic theory and laboratory experiments to explore the impact of human behavior in strategic situations, and how policymakers might consider human behavior when designing economic institutions. Ian Krajbich (PhD, Caltech, 2011) is an assistant professor in the Department of Psychology and the Department of Economics. His research combines tools from psychology, neuroscience and economics to investigate the mechanisms behind decision-making. Dr. Krajbich is interested both in using economic tasks and theory to better understand cognitive neuroscience, and in using models and measures from cognitive neuroscience to do better economics. Stephanie Moulton (PhD, Indiana University, 2008) is an associate professor in the John Glenn College of Public Affairs. Her research focuses on the implementation and evaluation of housing and consumer finance policies and programs. She is the principal investigator on a multi-year analysis of reverse mortgage borrowers, funded by the MacArthur Foundation and the U.S. Department of Housing & Urban Development. She also conducts research on state housing finance agencies (HFAs), including homeownership programs and state administered foreclosure interventions. Rebecca Walker Reczek (PhD, University of Texas Austin, 2006) is the Dr. H. Lee "Buck" Mathews Professor of Marketing. Her research focuses on the area of consumer behavior. Specifically, her research has explored consumer lay theories, inference making, and social influence. Given her interest in Transformative Consumer Research (research designed to benefit consumers), she has explored these theoretical interests in the substantive domains of food and health decision making, consumer response to sustainable products, and consumer disposal practices. Amanda Robinson (PhD, Stanford University, 2013) is an assistant professor in the Department of Political Science. Her research focuses on the impact of shared social and political identities on individual decision making, with a particular emphasis on decisions about whom to trust. Dr. Robinson uses behavioral economics and field experiments to study these topics in Sub-Saharan Africa.